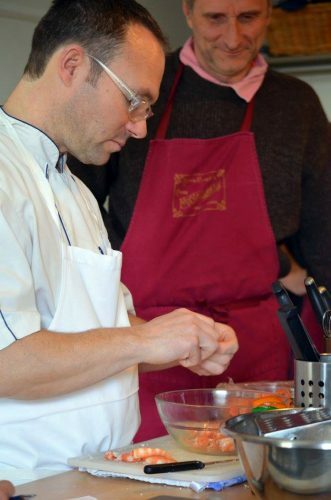 At La Ferme des Mares we run cookery courses in the spring and autumn, roll up your sleeves with a “hands-on” cookery course. Whether you are a passionate gourmet, an avid wine connoisseur, a novice in the kitchen or a culinary whiz, you’ll find something to suit your level of experience. So dive into the tricks of the trade in a real professionnal kitchen. After your exertations dine on your handiwork. New to 2010 is the « challenge cuisine » where you are the star, with the opportunity to fulfil that long held ambition and become “Chef for a Day” – you take the credit, we’ll wash up. 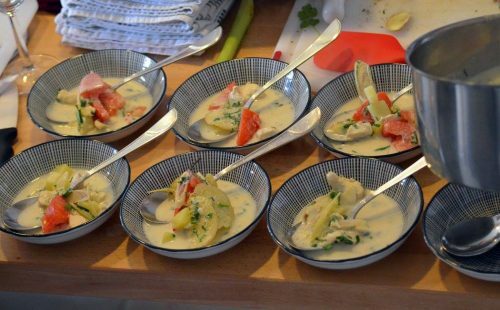 These cookery classes are ideal as a treat for yourself, make fantastic gifts, and are now available as a corporate team building package. We have a range of classes, with new dates always being added.